KeepTaxisAlive.Org - Introduction & a Welcome to Our Community! Home › Forums › Forum’s Rules, Introduction & A Welcome To Our Community! › Introduction & a Welcome to Our Community! 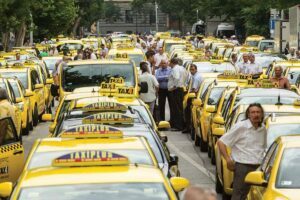 Welcome to The Taxi Drivers Community Forums by KeepTaxisAlive.Org! These forums serve as a community meeting point where both taxi drivers and taxi customers can post any problems, thoughts, or suggestions they may have regarding the taxi industry. And through these forums; taxi drivers all around the world can finally come together and speak up against the unjustified and unfair business practices by uber and other ride share companies causing thousands of honest hard working taxi drivers to loose their livelihood. Thousands of people worldwide will be able review your post and reply with their input.